Click on the Play Button and 'Burger Chef' will start after this message... Thanks for waiting! Help SpongeBob make Krabby Patties before running out of time! Turn all the machines on in time and complete your mission. Have fun! Did you get into a situation where everyone is an animal? Instead of crying humanity, so try to have fun. Therefore, from the first row to open up a new restaurant. Now it's up to you whether they can at all help it. Go to the market, will buy a new food and then go back to the restaurant and cook it. Recruit new people and improve operation of their clients that they have the best experience. Are you ready to handle all this? Start working in a sushi restaurant and serve your customers as fast as possible! Make business bloom by creating the most delicious makis and nigiris in town. Choose the right ingredients, cook them properly and make everybody happy! 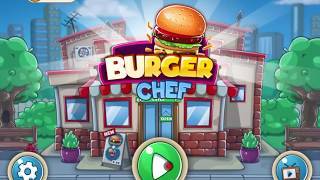 Control a very rich businessman who decided to make his childhood dream come true -- starting his very own burger place! 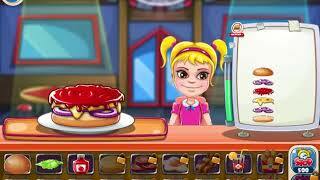 He actually wants to be the chef, so prepare each dish carefully and earn enough to unlock all sorts of ingredients.